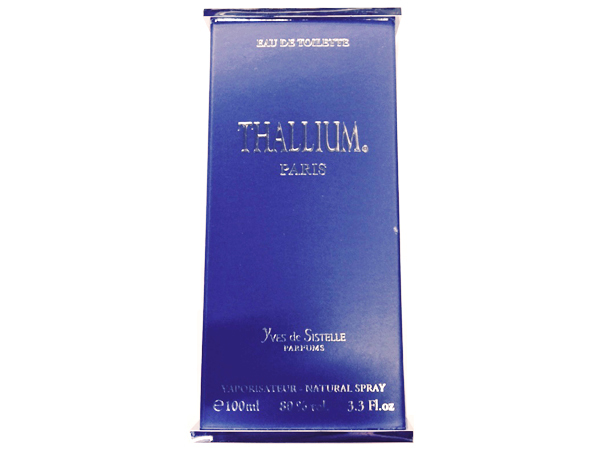 "Launched in 2002, THALLIUM YVES DE SISTELLE for Men; it's a Fruity, Amber fragrance. PERFUME NOTES: Amber, Apple, Pineapple, Bergamot, Lavender, Musk & Cedar. Now Available @ http://chifoperfumes.com/ 3.3 oz/100ml EAU DE TOILETTE SPRAY. LIKEABILITY: 88 LIKE"